Cow milk is made from approximately 88% water, 5% lactose (milk sugar), 3.5-5% protein, 3-5% fat, minerals and enzymes. Goat milk is similar to cow’s milk, except the fat globules are smaller (natural homogenisation) and produces a whiter cheese due to no carotene being present in the milk. It has approximately 4.7% lactose, 3.4% protein and 4.1% fat. Sheep milk has twice as many solids as cow’s milk (butterfat is around 9%), so you get more cheese! It is also higher in lactose. Buffalo milk has twice as much fat as cow’s milk and is high in calcium, making it ideal for cheese-making. Camel milk is similar to cow’s milk but is a little saltier – it’s often consumed raw (or fermented). Yak milk is sweeter and around 5.5-9% fat and 4-5.9% protein so is ideal for cheese-making, butter and fermenting. Equine milk is fairly low in proteins and fat but is rich in lactose – it’s commonly consumed fermented (not really suitable for cheese-making). 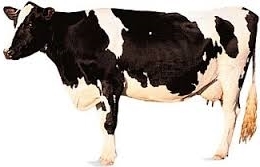 Animal breed, age, lactation stage, location, diet and season all influence the milk (and thus the cheese). Fresh milk naturally contains healthy bacteria, which work to inhibit the growth of undesired microorganisms. When milk leaves the udder, it can become contaminated by the environment, so sanitation is very important! 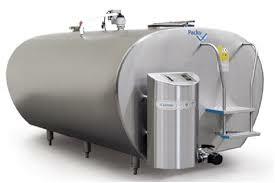 In commercial milking, the milk is collected in tubes and pipes and is pumped into refrigerated tanks. As the fresh milk is transferred, the fat globules can be damaged and release enzymes (causing cheese ripening problems) and during refrigeration, the calcium drops (causing softer cheese curds). Also, bacteria can still multiply during refrigeration to very large, dangerous populations (lactose is an ideal food source for the bacteria), even more so as the refrigerated milk is transported and put into cold storage. To make milk safer for consumption after this long storage period, milk is heat treated, which destroys the natural healthy bacteria along with the bad – therefore pasteurised milk is much more of a risk of being contaminated than fresh milk! If you have access to fresh, grass-fed milk that is regularly tested and kept very, very clean, you can pasteurise the milk at home then proceed with the cheese recipe. You must be 100% sure of the milk quality before using fresh milk at home. In 1857, Louis Pasteur realised that heat treatment destroys unwanted microbes. Following this, milk began to be low-temperature pasteurised (63°C/145°F for around 30 minutes) across America and Europe to destroy harmful microorganisms and extend the shelf life of the milk. By 1940 pasteurisation was established across the world as dairy farmers kept larger herds, milk had to travel further distances and large milk processing plants (and cheese factories) held milk for longer periods. Vat pasteurisation is also known as batch pasteurisation or low temperature pasteurisation. Many dairies heat above this temperature, which affects the cheese curd development (but extends the storage life of the milk). Look for a local milk by referring to the good milk list. Try a different brand (or batch) if you don’t succeed the first time and ends up looking like ricotta! Milk is heated at a much higher temperature (138°C/280°F) for a very short time (around 2-4 seconds). The milk is then packed into special containers that keep it safe without the need for refrigeration for at least 6-9 months. High temperature pasteurisation is also known as UHT. A mechanical process that prevents the milk separating into layers i.e. cream rising to the surface. Homogenisation creates a smooth, consistent milk texture that extends the storage life of the milk. Vitamins may be added to milk to increase its nutritional value or replace some of the nutrients lost during the processing (pasteurisation) i.e. 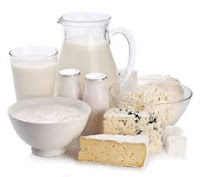 Vitamin D (to increase calcium absorption), calcium or Vitamin A (added to low fat milk to promote vision). Closest to fresh milk available i.e. full cream milk. Creamy milk that isn’t as high in fat i.e. hi-lo milk. Milk that is light in flavour and low in calories i.e. skim milk. Yes you can make cheese with skim milk, however it will be drier, less flavourful and a very low yield. Cheese made with skim milk often has herbs and spices added for flavour. Parmesan is traditionally made with partially skimmed milk. Not suitable for hard cheese-making because of the high temperature processing (which alters the proteins), but UHT milk is great for yoghurt-making! Not suitable for aged cheeses (cheese will have a rancid flavour), but powdered milk is great for yoghurt-making and some soft cheeses (if dried at a low temperature), especially when fresh cream is added to the reconstituted milk. Most lactose-free milk is pasteurised at a high temperature, so makes it unsuitable for making cheese. If you can find a lactose-free milk that isn’t pasteurised at a high temperature, you might be able to make mozzarella, however you cannot make other cheese because the milk does not contain lactose, the food source that the cheese bacteria consume and convert into lactic acid to help develop the curd. Aged cheeses contain less lactose than milk because most of the remaining lactose is removed in the whey (or consumed by the cheese bacteria) during the first few weeks of aging) and home cheese-making does not add additional milk powder like commercial cheese-makers. As long as goat or sheep milk is fresh, it can be used to make cheese. Commonly uses less rennet and a lower temperature to make cheese. Not suitable for cheese-making due to the high temperature heat processing during canning. 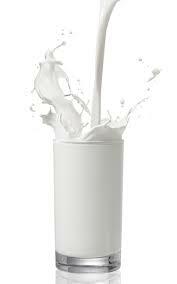 NEVER RECOMMENDED – there is no way of checking what bacteria are present in the sour milk (natural or nasty).